I'm a tea person, as opposed to coffee, so this news perks up my morning! Jean Paul Gaultier and tea brand Kusmi have teamed up for limited edition tins that will dress up your kitchen counter and can be reused for a variety of purposes! JPG may have ditched his ready-to-wear business, but that doesn't mean he's slowing down. Between this and his new Seven and I collection sold at 7/11, it's clear the designer is simple branching out. According to WWD, a JPG retrospective will live at Paris' Grand Palais from April 1 through August 3 and the tea tins, which are for the Anastasia and Prince Wladimir blends, coincide with that celebration. Talk about raising a glass (albeit in a totally different and non-alcoholic way). The Anastasia variety is a black tea kicked up with bergamot and orange blossom, while the Prince-ly variety is a black tea flavored with vanilla, citrus, and spices. The teas are as flavorful as the tins are fashionable! 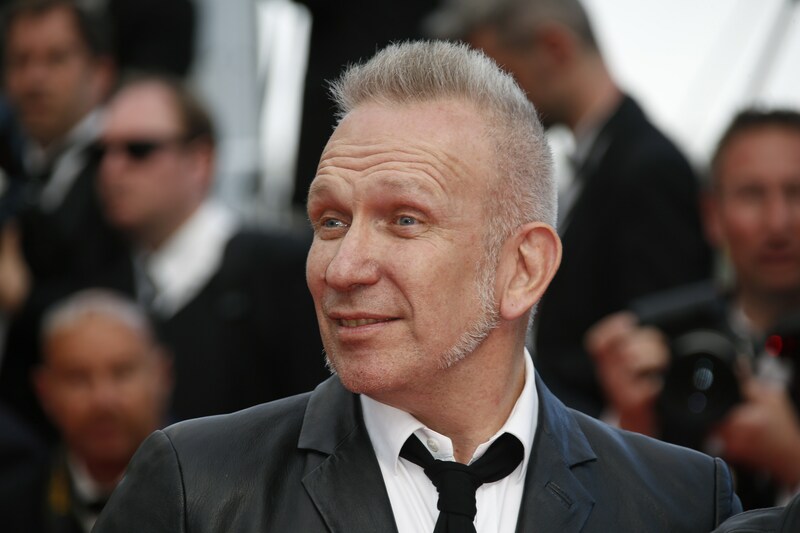 Other flavors will get their own Gaultier-branded tins later this year, according to Toovia. As it stands, tea drinkers and JPG lovers can nab the tins at Kusmi stores or at the Grand Palais boutique, so you're in luck if you live in Paris or plan to visit the retrospective. The tins will indeed be available in the U.S, so you won't have to troll eBay for the tins since they won't be MIA on the homestead. Gaultier is joined by other fab designers on the home goods front, like Zac Posen, who designed a wine bottle, and Betsey Johnson, who crafted tissue boxes for Kleenex. Rodarte once created a tote for Starbucks and Missoni's Target collab a few years ago had all sorts of bowls, plates, and more. Isn't this a cute take on tattoo chic, with the stripes, the flowers, the banner, the bird, and the instantly identifiable JPG font? I seriously love the roses and the stars! Get me some milk and sugar, because I am jonesing for a cup of tea right now! One could also use this tin to store hair bands, bobby pins, safety pins, or even spare keys. The possibilities are endless! I personally love this notion of introducing high-end designers to mass market in ways other than the high-low clothing mashup. That's been done so well for so long, but when the designers cross over into the household items market, I am so down. JPG x Kusmi is another way to dress up things like kitchen counters or vanity tops, and to make your morning cup o' tea that much more visually appealing.